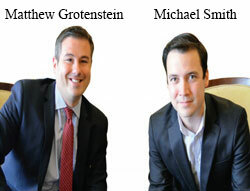 In 2012, Matthew Grotenstein and Michael Smith set out with the mission to bridge the gap between languages and cultures by providing social data analytics. They observed that although there are significant numbers of solutions in the U.S. marketplace to address and analyze social media, the lack of technology tools to understand the Chinese social sites is irrefutable. Soshio, headquartered in New York City, NY, therefore offers a proprietary platform that sources, analyzes and reports on key data points inside Chinese social media. With most western social networks being denied in Mainland China, tracking conversations of over 600 million Chinese social media users to understand the market becomes a difficult task. Language and cultural barriers further complicate researching the Chinese social data, and requires spending large amounts of resources and time. With Soshio’s tools and services, clients are enabled to discover key social insight vital to their business. Soshio analyzes millions of conversations across major Chinese social media platforms and provide real-time Chinese social data analytics on its dashboard or through its API toolbox. “We enable other Big Data and consulting companies do their job better. We really help them fine-tune their search by keyword optimization. We help them identify unknown variables and gather information on sentiments, emotion, context, geo-location and user demography,” says Grotenstein, Co-Founder and CEO at Soshio. The company focuses on 3 types of client models—companies with sizable marketing departments, companies which could be potential distribution channels, and companies that have existing analytics platforms and want to enable those platforms to analyze Chinese social media. Soshio’s bucket of unique products includes—emotion analysis that monitors posts and analyzes the emotions being expressed; context cloud that lists out the top trending topics and their sentiment on the keyword being analyzed; and demographic tracker that identify the major social platforms where the conversations are happening and which gender is most active in the conversation. These solutions are accompanied by trend analysis identifying trends across gender, sentiment, platform and emotions; and conversation explorer identifying most influential posts and engaging directly with users to mitigate impact and response time. Grotenstein believes that although most social media analytics vendors promise to analyze multilingual social media content, what they really do is just machine translate the content. This is where Soshio differentiates itself as it has developed a proprietary and aided Chinese text analytics center that analyzes social content in Chinese. The company’s Chinese Analytics API provides Chinese text analytics and sentiment analysis capabilities for businesses to create their own social monitoring dashboard. Soshio has customers across the globe and in various industries; however the company is focused on Chinese social media data alone. A major hedge fund in New York was considering making an investment in a public company in China. They wanted to make sure the brand perception of that public company was the same as they were being told by the management of that company. The hedge fund chose Soshio that did in-depth analysis of the conversations happening across social media on the public company and they were able to clearly position the public perception and the potential image risks surrounding the brand of interest, thus providing the hedge fund with additional information that resulted in further investigation prior to an investment. In another example, a global CPG company works with Soshio on an ongoing basis to gauge the effectiveness of its products and campaigns, as well as benchmark their competition and industry against their own progress. “China will continue to grow and dominate the world markets. With that, the need to have the ability to analyze the ever-growing number of users across Chinese social networks is imperative. To do so, it requires a customized solution that takes the cultural nuances and language into consideration when reporting accurately on millions of conversations in real-time. Our technology combined with our global network of Chinese social media analysts help us assist our clients to get closer to their Chinese customers and the soon to be largest market in the world,” remarks Smith, CMO and Co-Founder at Soshio. Offers a proprietary platform that sources, analyzes and reports on key data points inside Chinese social media.